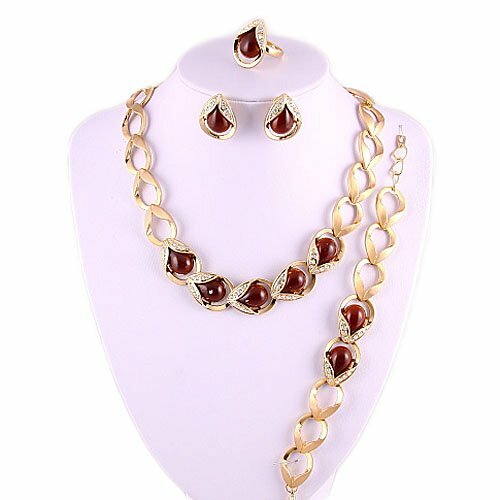 Here is a beautiful fine gold plated choker necklace, bracelet, earrings, and adjustable ring! This brown cats-eye stone and rhinestone accented set will light up your look! You can wear it all together or separately to add a little something special for any occasion. Necklace measures 16" in length. Comes in foil gift box.